I always thought it was a stretch when my ultra hippie friends would say there’s magic in your menstrual blood. But news has that our period blood is ripe with life. In fact, the latest research has found that menstrual blood contains embryonic stem cell markers. Stem cell research offers hope for a cure to a multitude of injuries and disease, from spinal cord and brain injuries, to heart disease and stroke, cancer, multiple sclerosis, Parkinson’s, and depression. Experiments showed that under the right conditions, menstrual stem cells could turn into more than nine different tissue types — including bone, blood vessel, fat, brain, lung, liver, pancreas and heart — better than other adult stem cells. And all from your period blood!Mother Nature never ceases to amaze me. Women’s bodies are pure magic. Mother Nature never ceases to amaze me. Women’s bodies are pure magic. It makes me wonder, what if every woman and girl really ‘got’ that periods are nothing to be ashamed of or hidden behind closed doors? That in fact, period blood has the potential to save a life? Maybe even your life. How might our lives as women be different? I certainly didn’t experience my period so positively when I first started menstruating. In fact, I used to throw out my pads in the basement garbage because I didn’t want my Dad to see (seriously flawed kid-logic since he emptied all the household garbage!). But now I’m proud to say I love my cycle. My period gives me that much needed time to slow down and rest and have a good cry when I need one. And in a big way, my period led me to my life’s work. Once I found out about the connection between women’s wombs and the moon and how it affects not only our fertility but every aspect of being a woman, I knew why I was inspired to create Yoga Goddess. And as for throwing pads and tampons in the garbage – never again! Did you know, the average woman will throw away 12,000 pads or tampons in her lifetime? 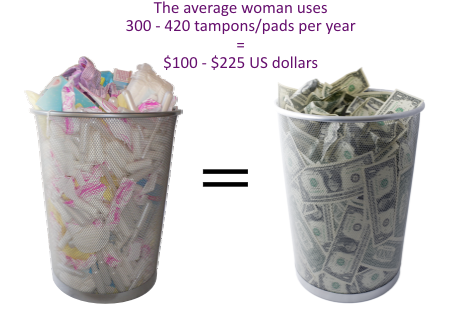 If you spend $10 – $15 per month on disposable feminine care products, that works out to $120 – $180 per year you’re literally flushing away. Since I switched to using Lunapads and the Diva Cup I have personally saved over $500 in feminine care products and I never have to spend another cent if I don’t want to! Menstruation is at the heart of a woman’s fertile health and feminine well-being. And May 28th marks the first-ever May MENSTRAVAGANZA educating women and girls in the developing world about menstrual hygiene. That’s why Madeleine Shaw and I have decided to change the date of our webinar to Wednesday May 28th to mark the specialness of the day. On May 28th, discover how tampons can affect your fertility. And how eco-positive periods can actually help you conceive more easily. Whether or not you’re trying to conceive, if you use tampons or commercial pads and your feminine health is important to you, then this webinar is for you! 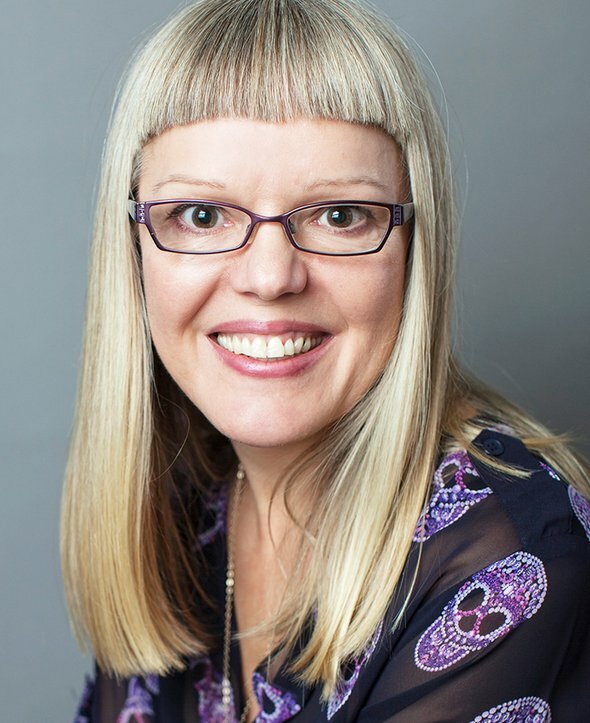 On Wednesday May 28th at 4:00pm EST (1:00pm PST), Madeleine and I will share how tampons (and commercial pads) affect your fertile health, and how to conceive more easily with eco-positive periods. I love that you were so inspired Andrea! 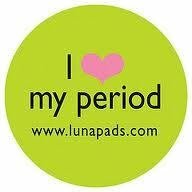 I would love to know what you think about Lunapads and the Diva Cup when you give them a try. I would never go back! Very interesting and informative information. Sure does make you rethink perceptions of that annoying “time of the month”! I am looking forward to the webinar on May 28th.